Alja-Safe® Skin Safe Crystalline-Silica Free Alginate! In addition to being an exceptional skin safe body molding material, Alja-Safe® alginate does not contain free crystalline silica (a known carcinogen). 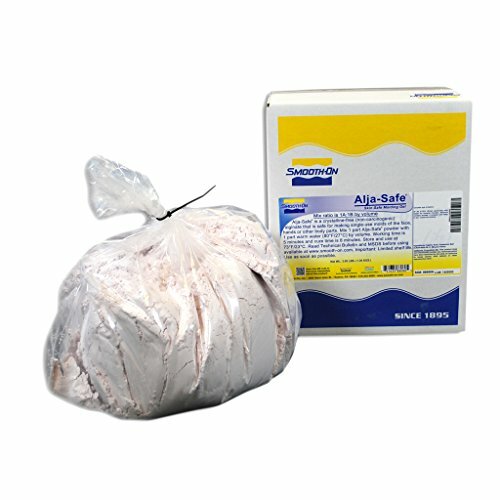 Alja-Safe® alginate is suitable for making temporary molds of the face, hands and other body parts. It is easy to use and cures quickly. You can then cast plaster or oather materials into the mold to make a reproduction. Alja-Safe® does not contain free-crystalline silica, a known carcinogen, that other alginates do. Adult Supervision Required. Keep Out of the Reach of Children. - World's first alginate that does not contain crystalline silica (a known carcinogen).